The Third Reich came of age in 1938. Hitler began the year as the leader of a right-wing coalition and ended it as the sole master of a belligerent nation. 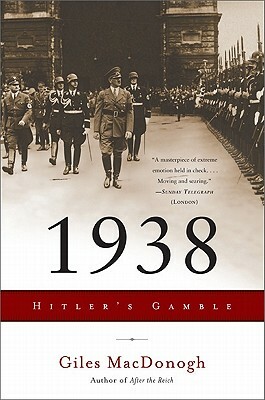 Until 1938 Hitler could be dismissed as a ruthless but efficient dictator, a problem for Germany alone; after 1938 he was a threat to the whole of Europe and had set the world on a path toward cataclysmic war. Using previously unseen archival material, acclaimed historian Giles MacDonogh breathtakingly chronicles Adolf Hitler's rise to international infamy over the course of this single year. A graduate of Oxford University, Giles MacDonogh is the author of several books on German history and has written for the Financial Times, the Times (London), the Guardian, and the Evening Standard. He lives in London.